What is this you're playing? 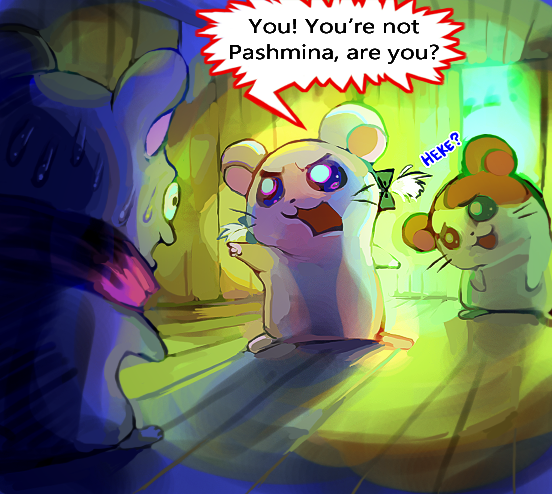 What is this 'Hamtaro' you speak of? 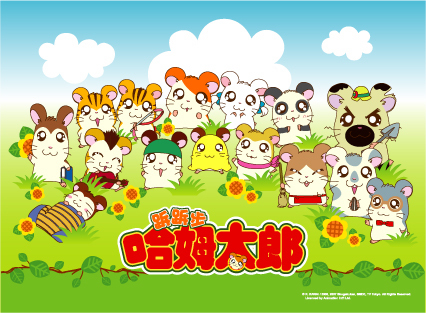 Though the original incarnation was as a children's manga series, the Hamtaro franchise really stems from its six seasons of anime. Add in four movies, a bunch of specials and OVAs, and all the usual plushies and other products... And you've got yourself a popular piece of Japanese media. As for what it's about...? In two words: Adorable hamsters. Okay, so it's a little bit about some of the hamsters' owners too. Plus, there's some of the old 'building friendships through adventures and conflicts' at work. Anyone who watched cartoons as a kid would know the sort of stuff we're talking about here. So, what's this game like? Acting through the anime's protagonist and female lead, players embark on a quest to thwart a villain's attempts at destroying love. Yes, it is a case of cartoon villainy at its finest. And I do mean finest. 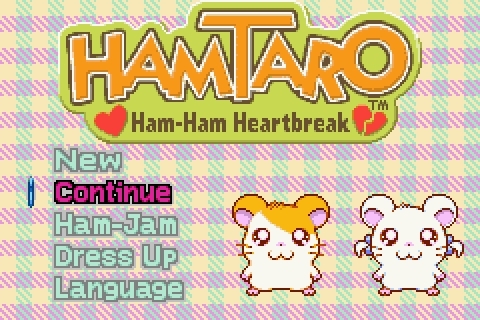 We'll be solving puzzles, reuniting lovers and learning the language of hamsters. Seriously, we're going to learn 86 different 'Ham-Chats' during this. 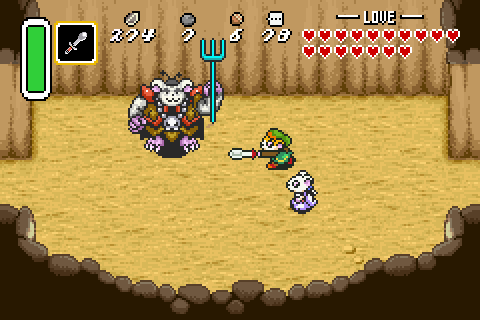 Each with their own accompanying animation. What's the format for this LP? We're going with screenshots, plus some bonus videos for new Ham-Chats and the occasional cutscene/mini-game. Since they should all be fairly brief, the videos won't have commentary. Okay... Any thread rules on spoilers and the like? There isn't that much that could be spoiled, but I'd like to see what little there is remain a surprise for everybody. Make sure to use spoiler tags at least, folks. Well, there is one decision that you can all weigh in on. That's right; our protagonists need names! Seven letters, bold your votes. 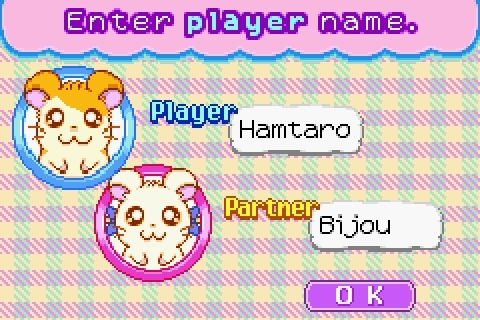 In case you require a little background for your decision-making: Hamtaro himself is the cheerful, friendly and hopelessly naïve hero-type, while Bijou is generous... and speaks with a fairly strong French accent in the show. 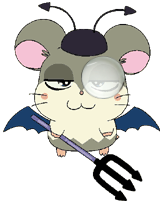 She's also crushing on Hamtaro pretty bad, not that he really realises it. Update 01: Your mission, should you choose to accept it. Update 08: Should have saved that last title. Update 09: Don't play that song. Update 10: Let's get biblical. Update 13: Exaggerated character traits. Update 14: Creeps and creaks. Update 16: Eat your heart out, Dekar. Update 17: Culture and creepiness. Update 18: Go, Ham Rangers! Update 19: The picnic is next week. Update 20: No mythgraven blades here. Update 21: The big pay-off. Update 22: It's more backlash than most heroes get. Update 23: Okay, that's a twist. Update 24: The round-up begins. Bonus Update: A dedicated follower of fashion. Meet the Hams! Part II + Ham-Hams Unite! 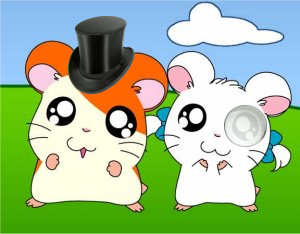 Meet the Hams Part VIII! HelloWinter captured Bijou doing her best impression of a defence attorney. Coco Bear imagines what a sudden genre shift would do to the end-game. GeneralYeti lends the LP a little touch of class.